The Crescent offers an extremely stylish corner option created from two beautifully curved sheets of glass. Available in 2 sizes, the enclosure is 1900mm high and made from corrosion resistant aluminium and toughened safety glass, which complies with EN12150 and EN12600. 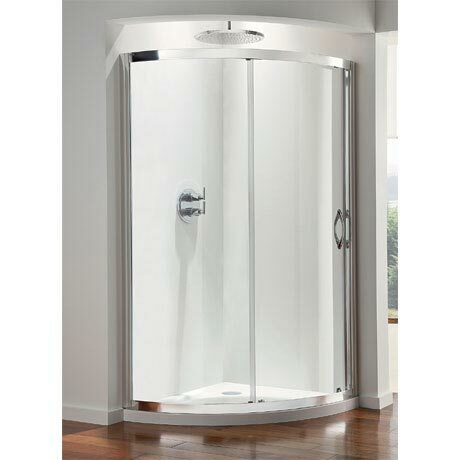 The glass is also specially treated to make cleaning both easier and less frequently required.